Our fourth grade science curriculum includes a geology unit called "Our Changing Earth." 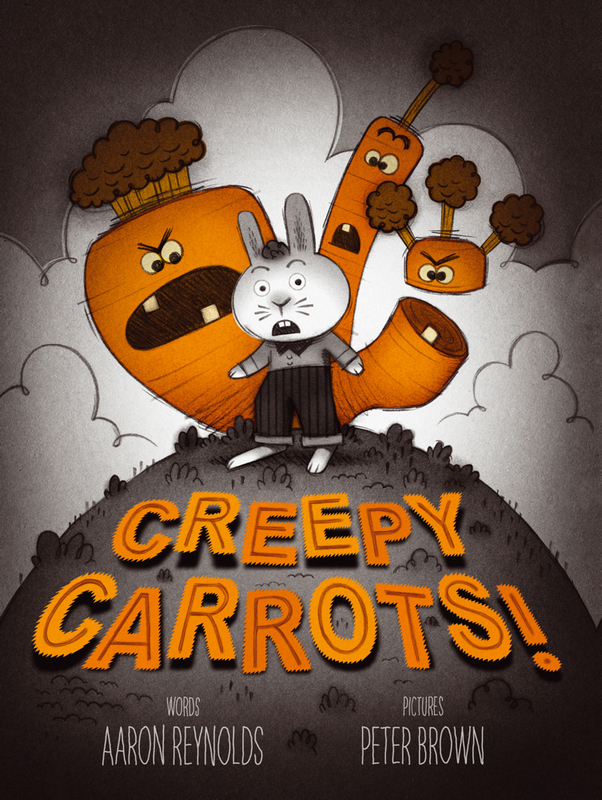 Yesterday, I found a book that I wish I would have had when I taught that unit last year. 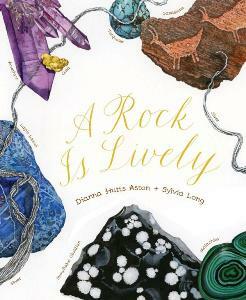 A ROCK IS LIVELY, by Dianna Hutts Aston and Sylvia Long, is part of a series that also includes A SEED IS SLEEPY, A BUTTERFLY IS PATIENT, and AN EGG IS QUIET. Not sure how I could have missed these books (I even went back to look through my history of posts, just in case I had reviewed an earlier book, then forgotten about it), but now that I've discovered them, I'm definitely going to look for the rest of the series. Each two-page spread is a kind of self-contained unit. There is one sentence, almost a heading, done in a large cursive font. e.g. " A rock is galactic." After that, there are two or three paragraphs of related information; on the galactic page there are three paragraphs- one about meteroids, one about comets, and one about asteroids. The book covers a variety of topics, including rock formation, how people use rocks, and even cave paintings. The book circles around, and ends where it began, with "A rock is lively." I could see using this book in a lot of different ways. Obviously, the content would be terrific for a elementary grade science unit on geology. 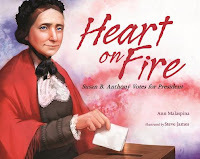 What intrigued me even more, however, was the book's potential as a mentor text for students' science journals.Sylvia Long's glorious, detailed illustrations make A ROCK IS LIVELY a perfect mentor text. 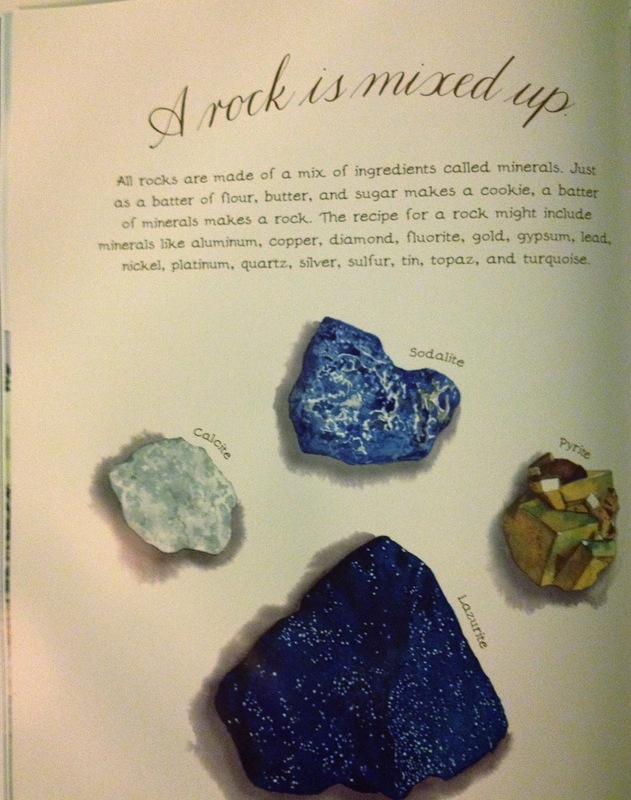 The end pages alone, which include a zillion different kinds of rocks in the front, then the same rocks, but with labels in the back, are worth the price of the book. Add this series to your science collection! Met a teacher friend at Tattered Cover for coffee this morning. After we were done working, of course I had to go downstairs to the children's department. 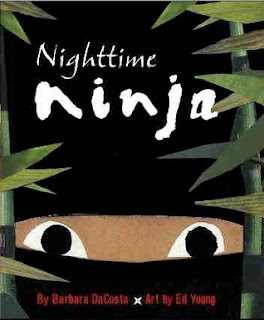 On the "Tattered Cover recommends…" shelves, I came across NIGHTTIME NINJA. The book is done in one of my favorite illustration genres, collage, and the artwork is by Ed Young, who is one of my favorite illustrators. So of course I had to sit down and read it immediately. The text in this book is sparse- never more than one or two lines per page. When the book begins, the clock has just struck midnight, and "nighttime ninja creeps through the house." We follow his journey through a series of collages made of cloth, string, paper, all the time wondering, "Who is the mysterious ninja creeping through the house?" Of course this question is answered at the end. Not a very good reading week. 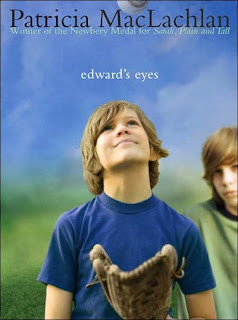 I have a terrific stack of TBRs, including CAPTURE THE FLAG by Kate Messner, but I didn't get much read this week. I had made a 1000 mile round trip to Utah the weekend before and had "jet lag" or "car lag" or whatever you want to call it, most of the week. I read NIGHTSONG standing in Barnes and Noble and immediately started to cry. I think it could be a classic parent to child gift, along the lines of LOVE YOU FOREVER or THE PLACES YOU'LL GO. 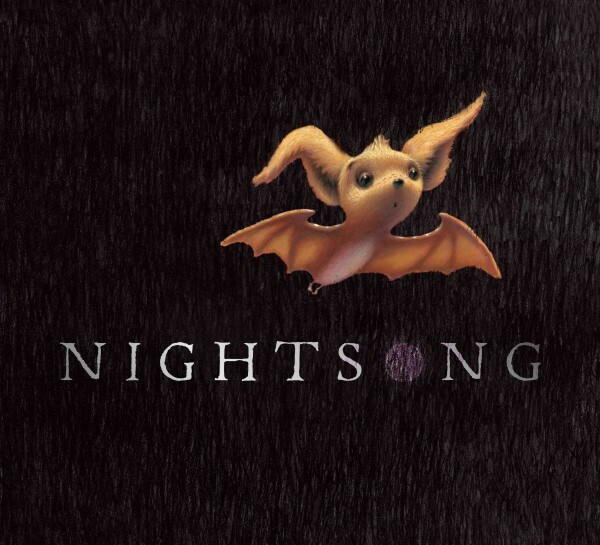 Written by Ari Berk and illustrated by one of my favorites, Loren Long (OTIS, MR PEABODY'S APPLES, OF THEE I SING), NIGHTSONG is about a little bat named Chiro. Chiro is growing up and his mama has decided it's time for him to make a solo flight. Chrio is a little afraid of the dark, but his mama tells him, "Sing out into the world, and [listen to] the song the world sings back to you. Sing, and the world will answer. That is how you’ll see.” Chiro starts out timidly, but gradually gains confidence. And Loren Long's illustrations are absolutely perfect-- I'm thinking this one could even get some recognition as a Caldecott. My other read this week was adult memoir. 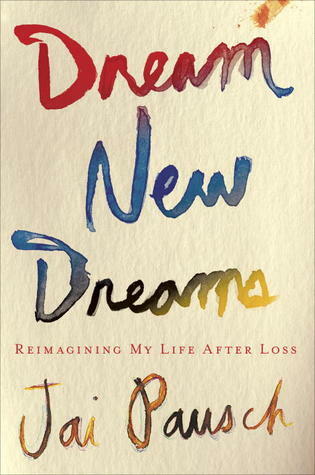 DREAM NEW DREAMS was written by Jai Pausch. Her husband, Randy Pausch, was in his mid-forties, a professor at Carnegie Mellon, and the father of three small children, when he was diagnosed with pancreatic cancer. His book, THE LAST LECTURE, was hugely popular about three years ago. DREAM NEW DREAMS tells their story from Jai's perspective. It's a book that could be really helpful, I think, for someone walking through the caregiver journey. This week I really am going to get to CAPTURE THE FLAG. The alarm goes off at 2:45 and by 3:15 I am on the road, a bag of snacks-- trail mix, pretzels, and tootsie pops, and three audiobooks on the seat beside me. I am on my way to Ephraim, Utah- 497 miles away. My guy is playing football and his mama is going to be there. I hate night driving, but I drive the dark, curving mountain roads, telling myself over and over again that it will be light soon, that I can do this, that it will be worth it. I pass Georgetown, the Eisenhower Tunnel, Silverthorne, and head toward Vail, where I see a herd of deer grazing alongside the road. And then I reach Glenwood, where the black of the sky becomes gray, and I stop only long enough to grab a cup of coffee. I have to hurry- my guy is playing football and his mama is going to be there. I continue westward-- through Edwards, Parachute, Grand Junction, Fruita. I drive 15 more miles and cross over the Utah state line at 8:00. I am exactly on schedule. My guy is playing football and his mama is going to be there. The scenery is breathtaking- miles and miles of striated rock, a huge blue sky, eagles soaring. I want to stop to take pictures, but that will have to wait for another day. My guy is playing football , and his mama is going to be there. At 10:40, I reach my turn off. Fifty more miles, and I will be there. I stop at a gas station, just to make sure I'm not off course. The clerk, a young guy with multiple tattoos, is a perfect direction giver. He tears my receipt off the cash register, and writes the names of the towns. "You'll hit Gunnison, then Sterling, then Mantai, then Ephraim will be next," he says. "It's about 45 minutes up the road." I grab my Diet Coke and climb back into the car. My guy is playing football , and his mama is going to be there. The road to Ephraim is a two lane country highway and I am impatient with the ginormous, stinky cattle truck in front of me. Doesn't he know I have somewhere to be? Finally, after 45 minutes, I see a large white building, with a stadium across the street. I think it is Snow College, but it turns out to be a church, and the county fairgrounds. I look at the map and discover I still have 15 miles to go. My guy is playing football, and his mama is going to be there. Finally, I arrive. I grab my stuff out of the car and sprint a block up hill. The line for tickets is long and I am impatient. I hear the "Star Spangled Banner." "Just be patient," I tell myself. I want to push through the ticket gate, but I force myself to wait, and show respect for my country. The second the last note is played, I shove my ticket at the girl, and head across the field to the visitors' stands. My guy is playing football, and his mama is going to be there. My boys have strict, unwritten rules about parental conduct at sporting events. Rule #1- Under no circumstances, ever, does a parental unit talk to a player on the sidelines. Mostly, I try really hard to follow that rule, but today I cannot. When I see my guy's number, I shout, "Zay!" and wave frantically. He acknowledges me with the slightest of head nods. I sit with the ten other parents that have made the drive, mostly from Phoenix. My guy plays, but only a little. I know this is hard for him- he has been a starter for the past three years. After the game, I rush out of the stands, not even saying goodbye to the other parents. The players have about 30 minutes to shower and board the bus for the 11 hour trip back to Phoenix. I know that my time with my guy will be very limited. I hug him, and breathe in that sweaty football guy smell that I have missed so, so much for the past three months. "What's that?" he asks, pointing to the bag of snacks I am holding. I hand over the pretzels and tootsie pops, and a couple of bottles of Gatorade I bought at the concession stand, then press a little money into his hand. We walk toward the locker room, stop to talk briefly to the offensive coordinator. And then our time is over. I give my guy one more hug. Remind him to work hard in school. Tell him I love him. Then he heads toward the locker room. I cry, like I always do when we say goodbye. I hate having him so far away. And then I get back into the car, to make the eight hour drive home. I get home about 11:15. I left home 20 hours ago. I have driven almost 1000 miles. But it was worth it. My guy played football and his mama was there. Shortly after I started blogging, my dear friend Mary Lee emailed me. 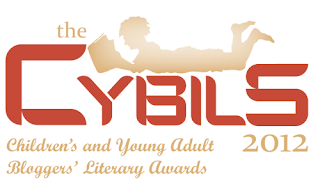 She thought I should apply to be a judge for the CYBILS awards. The application process, as I remember, was really simple, you just sent an email and a few days later, you got an email telling you which committee you would be working on. I did YA nonfiction that year, then went on to serve as a judge for elementary nonfiction for the next two years. Last year I moved over to Poetry, and I am super excited to announce that I will be a first round Poetry judge again this year. Yippee!!!!! I can't wait for the nominations to open on October 1st! Are you getting your list of nominees ready? I'm totally out of my league with a whole committee of published poets and brilliant bloggers, but I know I will learn a lot! On Saturday, I drove to Utah to see my son play football. I got into the car at 3:15, drove almost 8 hours, watched the game, chatted with my son and his coach for five minutes, then got back in the car at 3:45 and drove the eight hours back home. It would have been a long trip, except for the fact that I listened to two great books on tape. 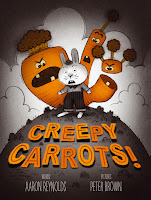 I also read several great picture books this week. I will review these in more detail later this week. This coming week, I'm looking forward to reading CAPTURE THE FLAG, which I was finally able to get at my local library. When I was in third grade, Mrs. Kelly read aloud THE BOXCAR CHILDREN. I loved that book! 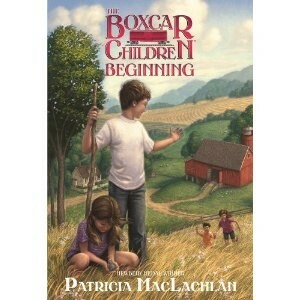 I found the idea of four kids living out in the woods, in a boxcar, feeding and caring for themselves totally intriguing.Last year, I heard that Patricia MacLachlan had been commissioned to write a prequel to THE BOXCAR CHILDREN. This week, that book arrived on my doorstep. Patricia MacLachlan has done a terrific job capturing Gertrude Chandler Warner's 1942 voice and as a long time Boxcar fan, I totally enjoyed the prequel. I'm not sure, however, that BEGINNINGS will capture/hold the attention of my urban students, who may find the Alden's family's rural life a little slow. I am also not sure that I would give this book to students who had not read other books in the series, but for BOXCAR fans, this is a fun new read. Yikes! It's been a really long time since I posted! A couple of weeks ago, my son turned on a burner, then forgot about it and left the house. I came home from work two hours later to find a ruined cooktop, and a house full of black, stinky smoke. Thankfully, the house did not burn down, but the fire did knock out all of the electricity in that side of the kitchen, and also our internet, phone, and cable service (I'm writing this at Panera's). The electrician should be done restoring power to that part of the house tomorrow, then I will call the cable provider and buy a new cooktop and hopefully we will be back up and running! Yikes! In between starting school and calls to repair people, I have been reading a little. Right before school started, my friend Kyle (who you know as The Boy Reader) invited me to a wonderful lunch in his backyard. After lunch, Kyle handed me THE LANGUAGE OF FLOWERS. "You have to read this," he said. "It reminded me of your family." I took it home and devoured it that afternoon. Kyle was absolutely right. I did need to read this book. Author Vanessa Diffenbaugh has been (maybe still is?) a foster parent, and she tells this story with huge compassion and caring, and yet a strong sense of reality. 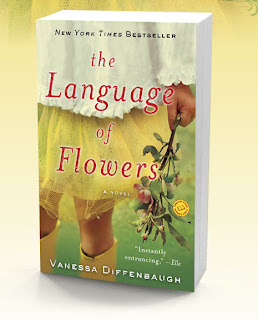 She totally "gets" the brokenness of kids who have grown up in the foster care system-- how much they want to love and trust, how hard it is when to give love when you have never been loved or cared for, and how it impacts relationships forever and ever… I also loved the way Diffenbaugh crafted this book, with chapters that alternated between Victoria's current life and her instances from her past. This is one I will read again and again, and pass on to friends in similar life circumstances. And on a much, much lighter note…I love when an author writes books for a variety of audiences- so that kids can visit an old friend again and again and again. Jennifer Holm is definitely one of those authors! Kids love, love, love BABY MOUSE! 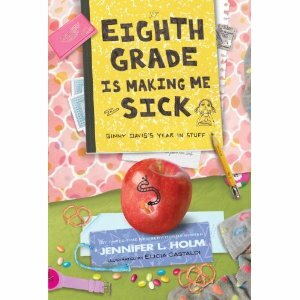 They grow into MAY AMELIA, and then when they hit middle school, they can find Holm's work in a whole new way, through SEVENTH GRADE IS WORSE THAN MEATLOAF and her newest book, EIGHTH GRADE IS MAKING ME SICK. What I love, love, love about this series is that it's not told in words, or at least not words like they are seen in traditional novels. Instead, it's told through a series of artifacts- report cards, bank statements, post-it notes, book reports (I wonder how Holm chose the books and authors she would include!) 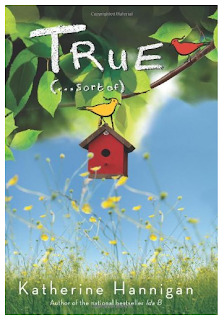 and even a few poems-- that totally capture the reading life of an eighth grader. This is one middle schoolers are definitely going to enjoy!